Starting to get up there, now approaching 60. Really have noticed over the past decade, that when I go over 6ft or 8ft stepladder height, some loss of orientation. And now with a job at 20ft around the corner - wondering if you guys have any brainy stuff to offer? Already taking vitamins, powdered protein, can never have too much java. - Already accepted the humor that's about to come partly at my expense. Thanx in advance. And just for the record - Nobody posting to this thread or from this site will in any way be held liable or responsible. - Onsite Warning is hereby acknowledged. Last edited by artinall; 02-11-2019 at 02:49 PM. Looking forward only and at the work being performed in front of your face works well for me. Until the "sea legs" come back. Mind re-orientates to this is stable-closer to the normal of standing on the ground. A lift will pay for itself regardless of how you charge. If you bill hourly, bill for the equipment as well. If you bid, it works out in added efficiency. I picked one up that I thought was a good price and have never looked back. The bad news is they don't fit everywhere on existing construction. Maybe less coffee might help? Drink lots of water. Excellent advice. - Much appreciate the Hitchcock pics . It's an interior foyer. Could check out the single man lift. Staircase would interfere on one of the walls though...would have to articulate and get through the single entry door. Last edited by artinall; 02-11-2019 at 04:02 PM. There's probably nothing between them. 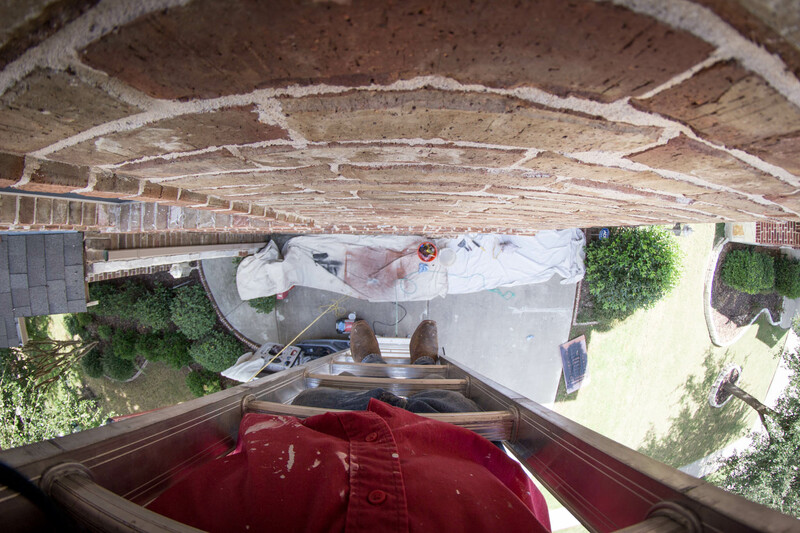 Although I'm rarely working at any heights since I work mainly interiors, 20 ft isn't uncommon inside. I haven't lost anything being at heights at 60 yrs it's getting up there that's the problem. I get all emotional when I hear things like that ...keep telling myself, "one of these days I'm going to miss his comments" ... yup. I only do interiors also at this point. 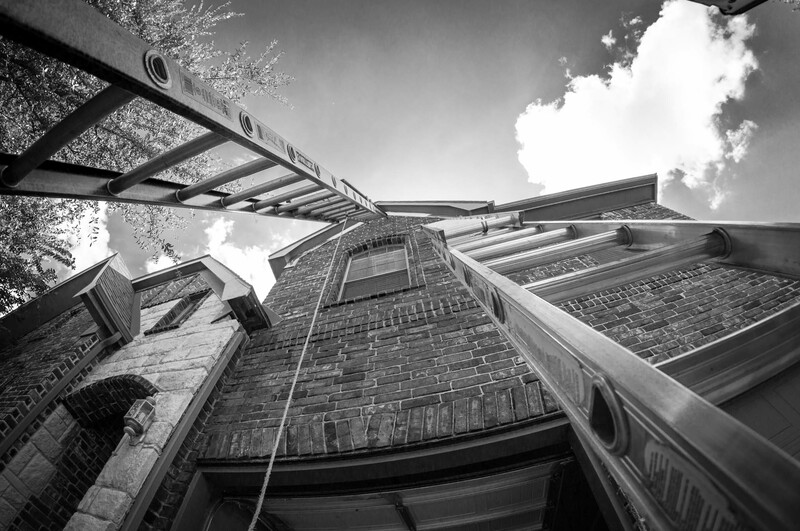 I remember pulling off my ladder rack and setting up a 60ft triple wooden extension on an exterior, more than half a lifetime ago (bouncing it up the side to extend). I guess I've come to do a 180 in my time. Woa! It's that reaching half-blind up over and above more than anything. - I gotta go use the back massager. Last edited by artinall; 02-11-2019 at 06:40 PM. 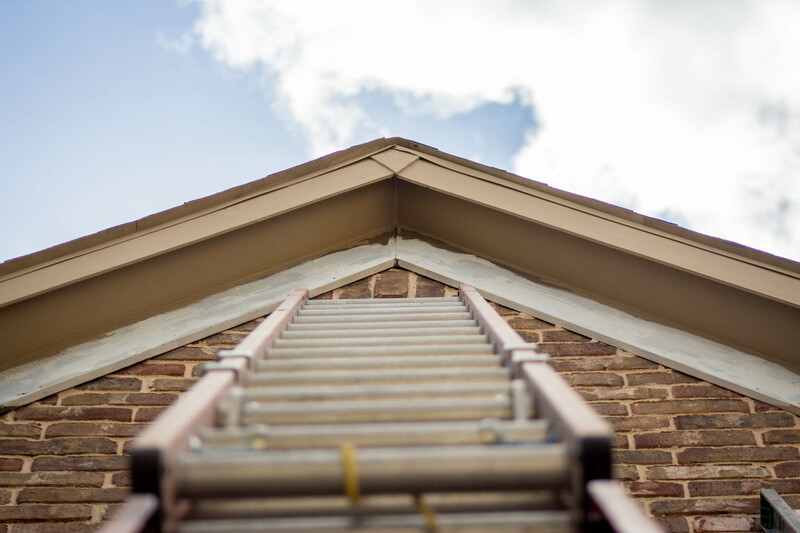 I'll be 69 next month, and I'm totally comfortable on a 20-30' extension ladder (well, once I wheeze my way up there). I do have good and bad days using the not-a-step on a stepladder. Not sure how much of that is the simple realization that I don't bounce as well as I used to. Along with STG's thought about inner ear, how's your eyesight? That does make a difference. Probably nothing we suggest now will help much if that job is coming up soon. It took time to degenerate to where you are now; it will take longer to recover--if that's possible. 20 to 30 ft - with up to a gentle breeze? I go by total stillness. Eyesight is degrading. Been thinking about a visit to the eye doc to see if corrective surgery could be an option. Getting so I can't read a lot of text without lenses. Every great once in a while everything blurs out. Mainly at pc. Last edited by artinall; 02-11-2019 at 08:59 PM. Maybe there is an actual medical reason. Some inner ear problem or something. Ask your doc. Nah, I don't mind wind as long as it's not so strong it'll knock the ladder down if I'm not holding onto it. Or make a hang glider out of whatever material I'm handling. Funny, I've actually gotten more comfortable on those ladders the last few years than I used to be. Maybe goes along with meeting my wife for the first time every morning. On a serious note, use bullhorns. I almost always use them if there is room. Makes it much more stable. I dont enjoy working on ladders as much these days. Mainly because the ground hurts when its shoved into my body at any speed at all. Since this topical, and I only need to take things down a notch or so. I sort of know what you are talking about. I don't get dizzy, but I get a very uneasy feeling. Not just nervous, but very uncomfortable. I can't exactly explain it. I blame it on getting older. I think it started a few years ago, but I especially noticed it 2 years ago. Had some health issues and was off work for 5 months. I just wasn't the same. Then I had health issues last year. No change in the feeling, but it is still there. I am very hesitant, as I start to get higher. It's noticeable to other people. My son noticed I was going very slow and had a hard time walking on a roof. I would say, I probably start shaking a little also. 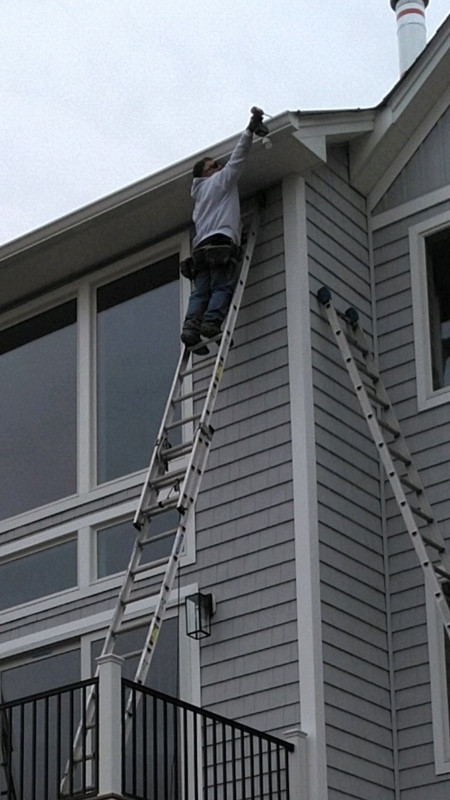 I never had a problem with extension ladders. Heights weren't really a problem either. I had a pilots license for years, but that is a different feeling. Sorry, no help. Just another guy getting older noticing a difference. If you can't walk the edge of a 2X4 with your eyes closed, you're having balance problems. If you turn your head quickly and fall off, you 100% have an inner ear problem. BTW, the nerves in your feet and ankles give a lot of feedback to keep you vertical.